You know that sluggish, gross feeling you get when you eat foods that you know are not good for you? I’ve been feeling it recently, even though I’m obsessed with vegetables and eating healthy. I’m constantly running around between events and sometimes find it hard to eat well. I love all kinds of food and I work in the food world, so it’s hard for me to say no when I’m short on time and there’s food front and center. Especially if it’s free and already ready to eat! When I feel like this, I know it’s time to clean it up. How am I doing that, you ask? Lemon and apple cider vinegar water. 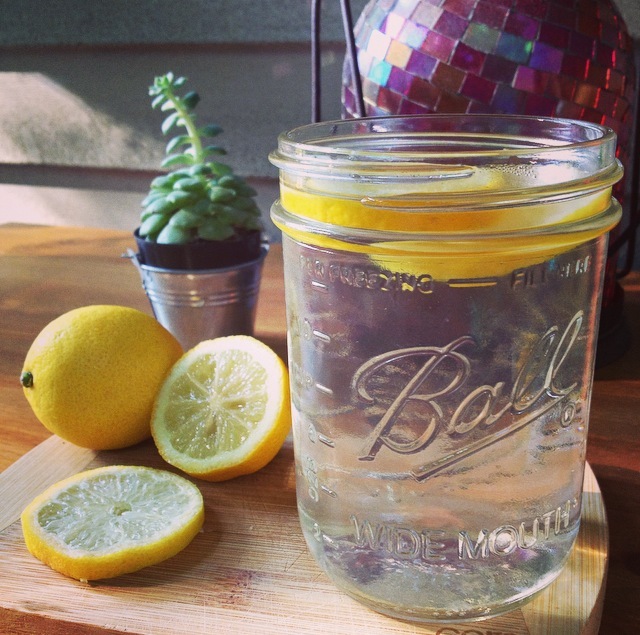 I start my morning with fresh juiced lemon water. I love switching between this and apple cider vinegar water. The taste took me some time to get used to, but now I miss it when I don’t have it. After you consistently do this for 1-2 weeks, you’ll notice that you’ll feel better, your skin will glow and your appetite is suppressed. I love it so much, I try to drink lemon and apple cider vinegar water everyday now. While both lemons and apple cider are acidic, they actually help to balance the PH levels in your body. The more alkaline your body is, the more readily it can absorb nutrients, process what we eat and flush out the not so good things. I also have acid reflux and ever since I started my lemon and apple cider vinegar regime, I haven’t any flare ups. This can also help you shed unwanted pounds along with other amazing benefits. I’ve been doing this for the last few weeks, and my fellow startup friends I see regularly at MassChallenge have noticed I look slimmer and my clothes are telling me the same! I’m bootstrapping a startup. In addition to being simple, this is also economical and budget-friendly. Save money on fancy detox plans and prepackaged juice cleanses and get yourself some lemons and a bottle of Bragg’s apple cider vinegar, which still has the mother in it. Make sure to gentle shake the bottle before you use it though! Apple cider vinegar: Use cold or room temp water with 1-2 tablespoons of apple cider vinegar. Or take a swig straight up without diluting it with water. Just don’t use hot water. The heat will eliminate all the live natural properties of the apple cider vinegar. Lemons: Use a regular lemon or Meyer lemon for a little natural sweetness. Use hot, cold or warm water. I use about ¼ to ½ a lemon for each drink. Keep lemons and a bottle of Bragg’s apple cider at work with you for a quick refresher during the day. Fill up bottles ahead of time and stash them in your fridge so you can grab and go in the morning. Happy detoxing friends! Stay tuned for more healthy living posts to come.